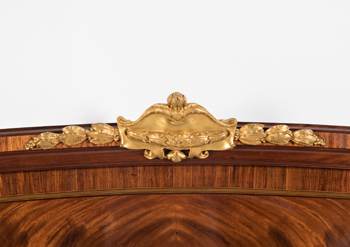 With the arrival of our latest container comes the child-like anticipation of Christmas, as each antique purchased overseas almost a year ago is painstakingly removed from the container and we're reminded of what we fell in love with over 12 months ago. 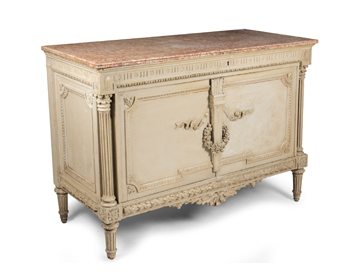 With the arrival of our latest container comes the child-like anticipation of Christmas, as each antique purchased overseas almost a year ago is painstakingly removed from the container and we’re reminded of what we fell in love with over 12 months ago. 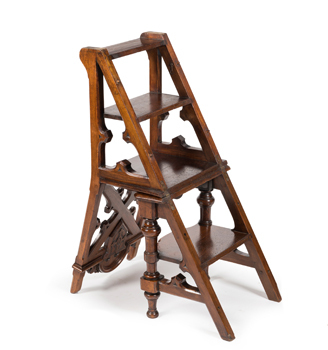 Biting our nails in the hope that our recollection is as good as the reality … we await our collection of antiques to judge whether our buy was a good one. 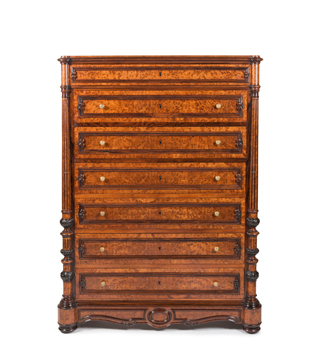 We’re delighted to say that we are particularly pleased with this container of antiques, for not only are the pieces of wonderful quality, they’re also an eclectic and interesting mix of formal and informal which makes for an exciting combination. 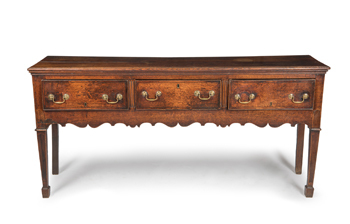 We asked each of our staff members to tell us which were their favourite antiques – the ones that they’d take home if they could. 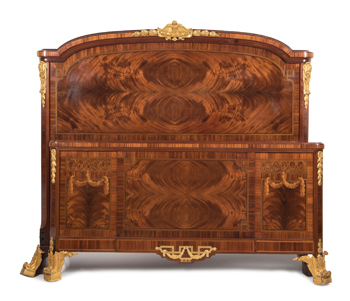 Lyndon and Nick both gravitated toward the exceptional early 20th century French marquetry bed. 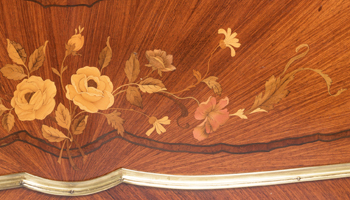 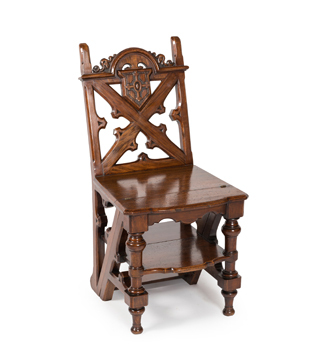 Both agreed the inlays were of a quality and level of detail rarely seen in even the best inlaid antiques and its size, which is just short of king size makes it a stand out. 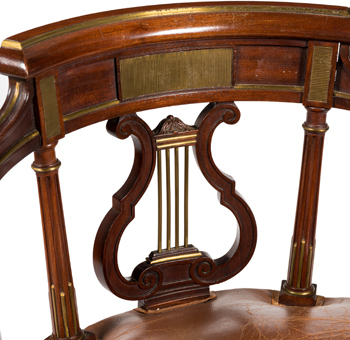 However they differed in their choice of second, with Lyndon unable to get past the quality and intricacy of materials used in the French wellington chest, and Nick blown away by the fabulous 19th century French Empire brass and mahogany desk chair. 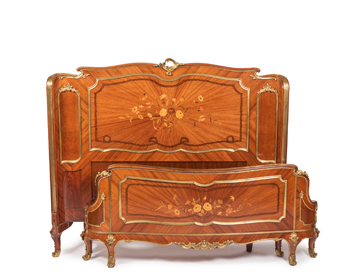 Liz and I were unique in our selections, for I myself find it hard to look past the exceptional late 19th, early 20th century French marquetry and ormolu bed. 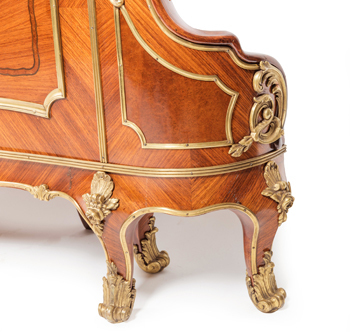 It is both the fabulous figuring in the veneers and ormolu feet on this bed that are so spectacular while Liz loves the playfulness of the metamorphic chair which converts from chair to library steps with the flick of a wrist. 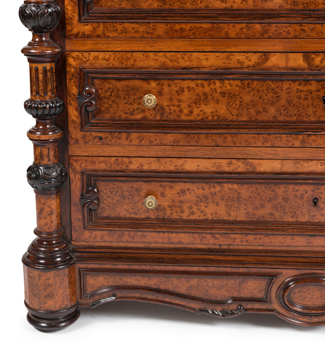 As a close second, I chose the pair of decorated commodes, for not only is a pair of this size incredibly rare, but underneath the later decoration is solid walnut – imagine if they were polished! 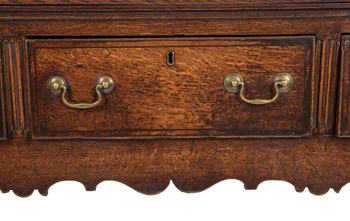 Liz preferred the more understated but no less beautiful 18th century oak dresser which reminds her of home. 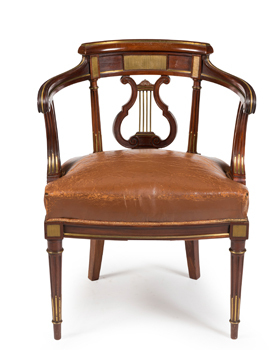 To view our staff top picks, scroll through our gallery below.